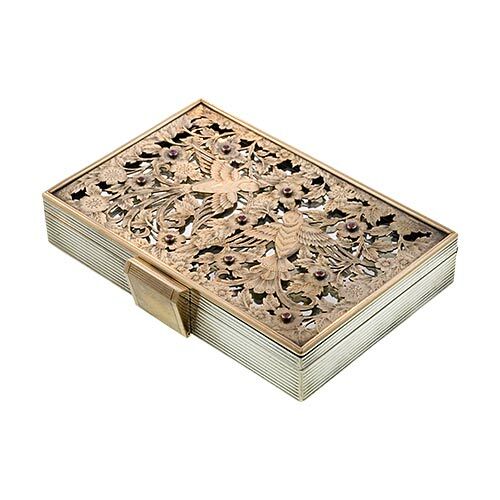 Minaudière is a small, bejeweled, clutch – or vanity – bag which holds cosmetic items and other small nécessaires. This ladies accessoire was patented c.1930 by Van Cleef & Arpels. Boucheron 18k Gold and Silver Minaudière. 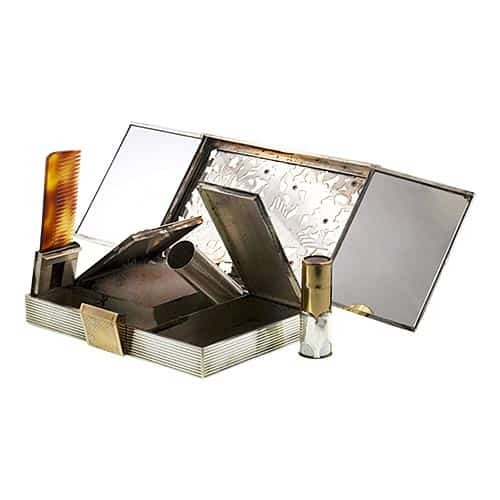 The Box Opens to Reveal Several Sterling Compartments, Including Mirrors, Powder, Lipstick, Comb and Two Additional Compartments for Secret Necessaires.